Poetry. 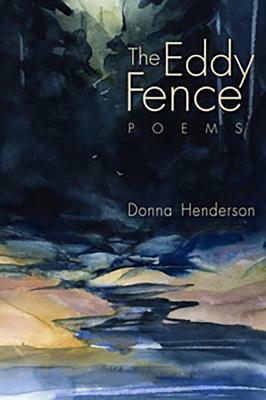 Donna Henderson's new collection traces the contours of the "eddy fence" where love and loss meet. In poems that confront a mother's illness, a forest's destruction, and the struggles to seed new life, she discovers a difficult beauty and passage to healing. Here we encounter a restless intelligence in dialogue with itself, seeking to enter the world more entirely through deeper and deeper seeing.
" remarkable Its music is quiet, its intelligence is omni- present. The book has tremendous range in topic nature, relationship, loss, spirituality." Karen Brennan.